Who Says The World No Longer Has Superheroes? Re: Who Says The World No Longer Has Superheroes? Viva Il Papa! Viva Il Papa! ROME â€“ The boy Joseph was seven when he promised the Christ Child in writing that he 'would always be good'. 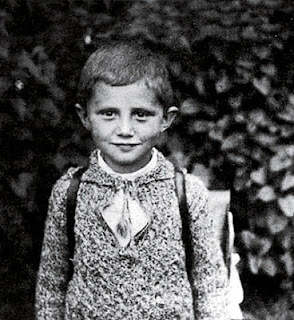 And 78 years later, it was heart-warming for the 85-year-old Pope to be reminded of the note he left on the family creche in Aschau, where the Ratzinger family lived at the time. 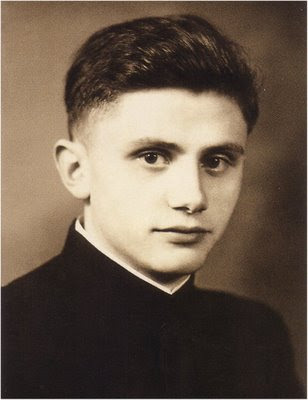 The note was discovered among his sister Maria's belongings during the recent renovation of his house in Pentling, outside Regensburg, which has now become a meeting-center for the Institut Papst Benedikt XVI and a small museum with a room dedicated to each of the three Ratzinger siblings. 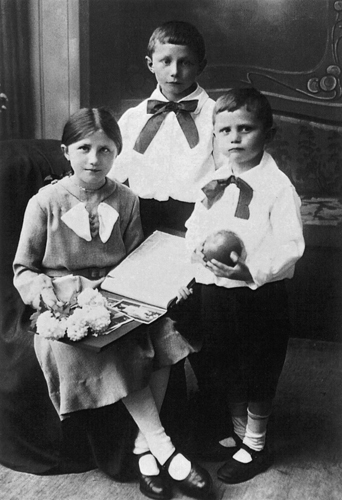 The Christmas-wish note is now on exhibit at the Pope's birthplace museum in Marktl am Inn. 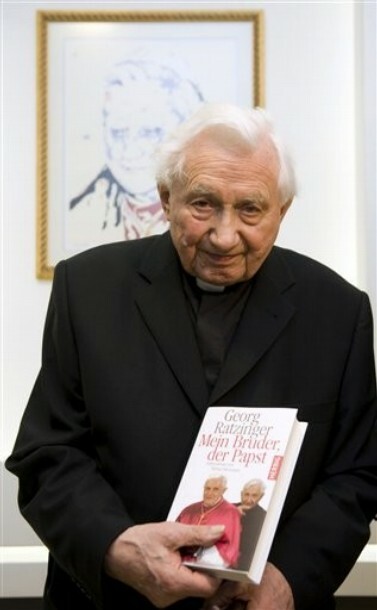 Found the picture on the Passau diocese site - on the left is Maria Ratzinger's own letter. You will soon come down to earth. You will be bringing joy to children. You will also bring joy to me. 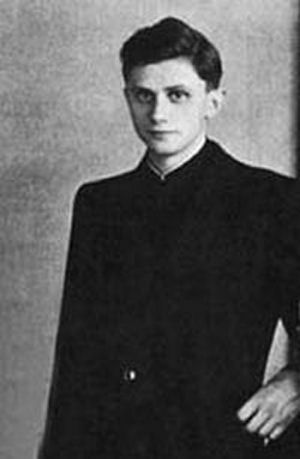 I would like a Volks-Schott, a green garment for Mass, and a Heart of Jesus. I will always be good! 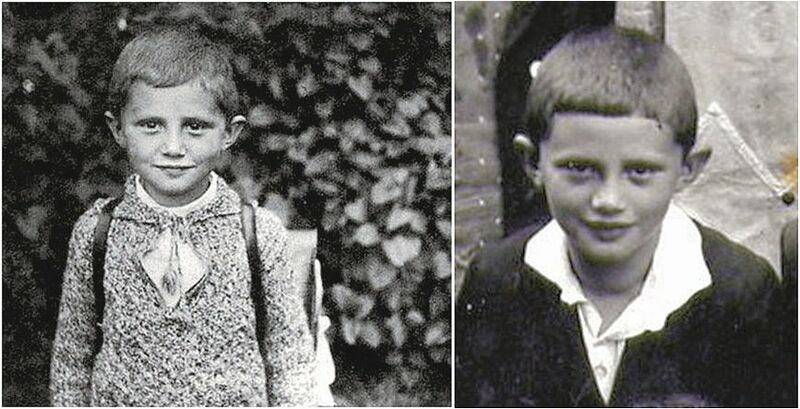 Left, the most famous schoolboy photo in the world was taken in Aschau when Joseph was five; right, Joseph in Aschau two years later, around the time he wrote the Christmas note. 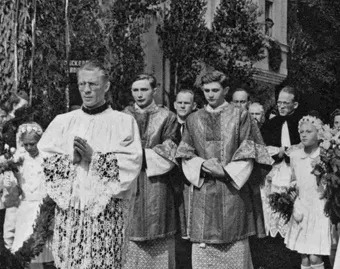 Georg* (L) and Joseph Ratzinger during their first Mass processional in Traunstein, Germany in 1951. 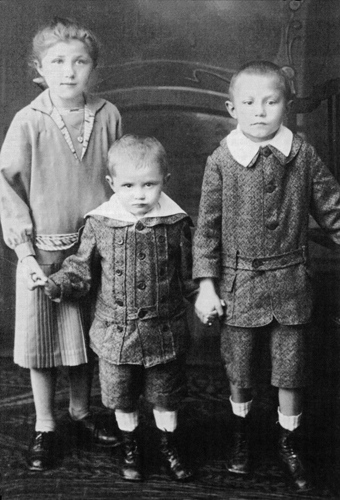 Photo courtesy of Ignatius Press. 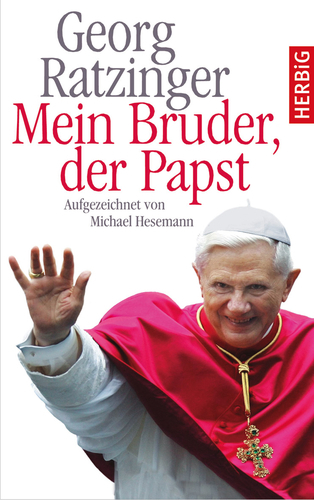 *georg, 3 years older than joseph, is also a priest, currently serving in germany. 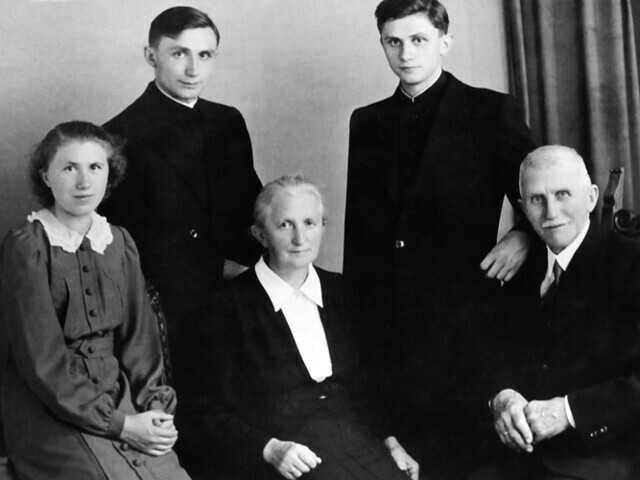 1951: Brothers Georg and Joseph confer their first blessings as priests. They were ordained together on the same day. Msgr. 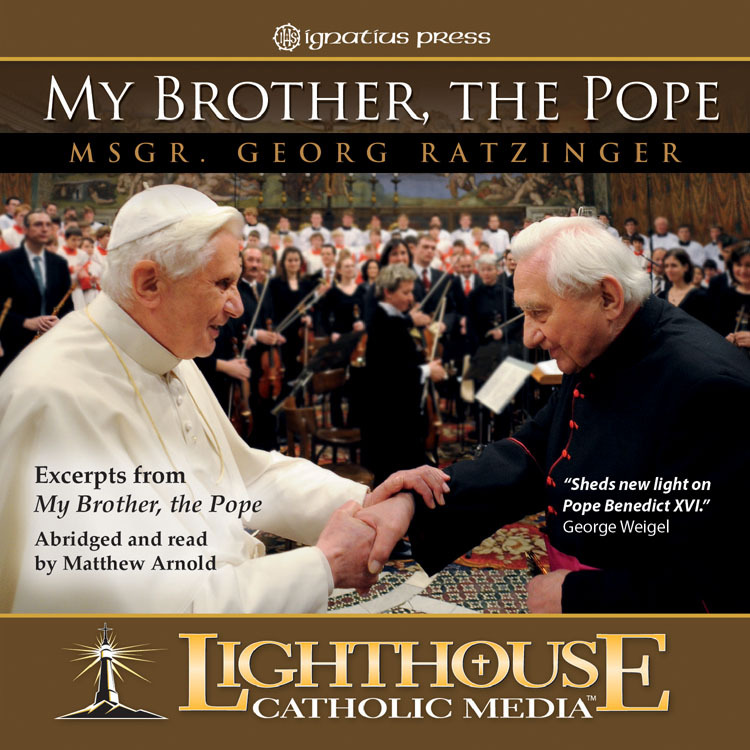 Georg Ratzinger is an accomplished musician, known for his work as the conductor of the Regensburger Domspatzen, the cathedral choir of Regensburg, Germany.